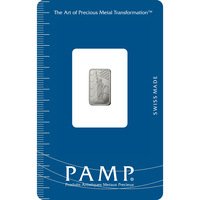 Platinum Minted Bars from PAMP Suisse are one of the most prestigious investments you can make in your precious metals career. 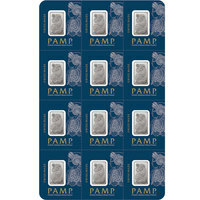 The Minted bars will not only diversify your portfolio but also increase its value. They have recently gained a very important role in the precious metals market, and they are seen as more superior and more relevant than some coins on the market. 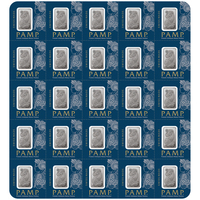 PAMP Suisse offers a wide selection of Platinum bars. 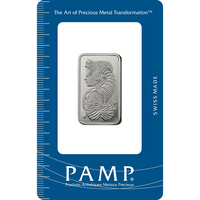 This guarantees access to everyone, even for those with a more modest budget, or those venturing into the precious metals, or Platinum industry for the first time. 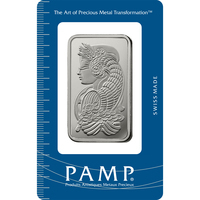 Platinum bars are often encouraged as the first investment for new precious metals enthusiasts or new investors. PAMP Suisse has recently gained a very important role in the precious metals market. These bars contain .9995 fine Platinum purity, and they are the best way to invest in this market. 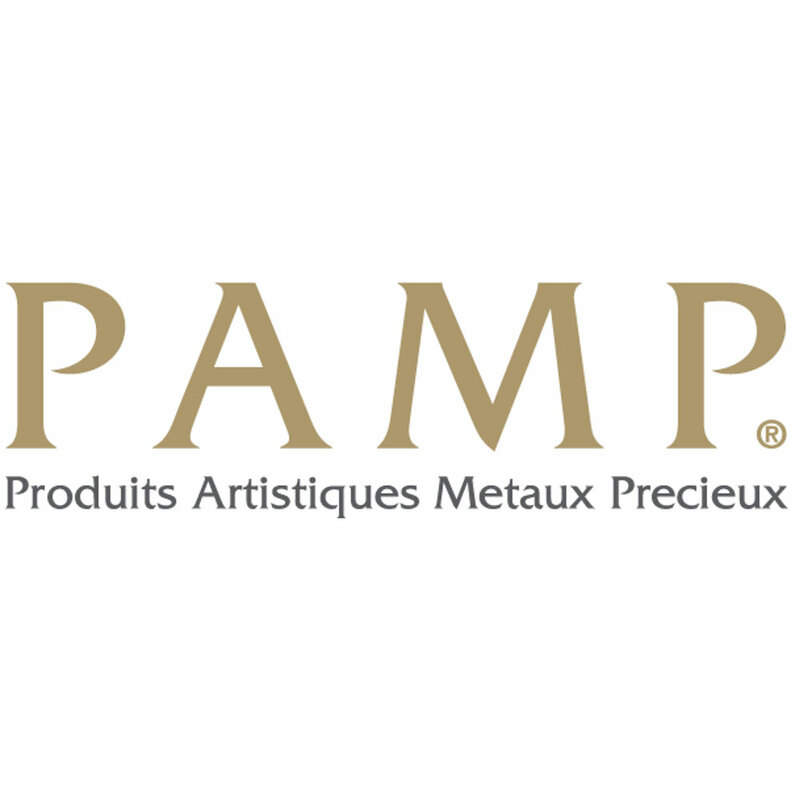 PAMP Suisse is a leading manufacturer, and one of the most popular mints in the world. Based in Switzerland, they are known for their immaculate craftsmanship, their one of kind quality, and their outstanding design. They are known as one of the best purchases on the market. 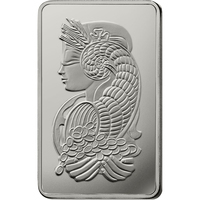 The PAMP Suisse bars feature Lady Fortuna. Lady Fortuna is the daughter of Jupiter, and she is the goddess of good fortune and good luck. She was also known as the goddess of fate. She is always represented veiled, with a cornucopia and a wheel of fortune. 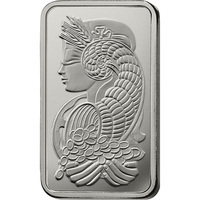 This is exactly the way she is depicted on the PAMP Suisse Platinum bar, with riches pouring out of her horn of plenty. Lady Fortuna would make an excellent addition to any portfolio. 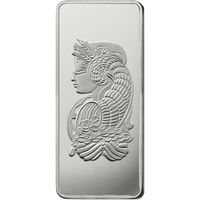 She adds value and elegance to any collection and is beloved by investors and precious metals collectors from around the world. PAMP Suisse is widely respected worldwide, and you would be purchasing a bar from one of the world's leading refineries.